Letting Go Quotes for Him and Her: Moving on from bad relationships is tough as hell. How do you move on from bad memories? How do you take the decision to walk away from someone who you can’t live without? These are the painful questions that trap people in the toxic web of unrequited love. It is never easy to put the prefix ex before girlfriend or boyfriend, but some relationships do more harm than good. Sometimes, holding on may not be the best thing to do. Sometimes, breaking up may be the wise thing to do. Sometimes, heartbreak may be the only road to happiness. As hard as they sound, these messages will touch a chord deep down in your heart and soul. They will empower, motivate and inspire you to move on from something that was never meant to be. 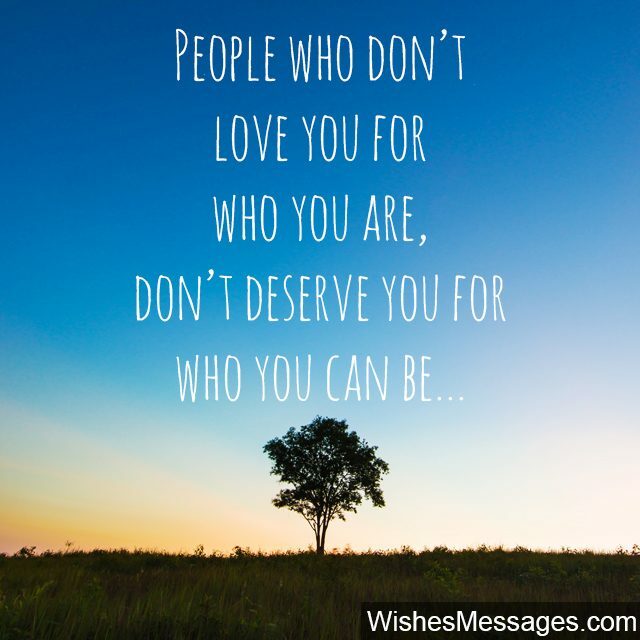 1) People who don’t love you for who you are, don’t deserve you for who you can be. 2) It is tough to let go of someone you can’t live without. But living with someone who can live without you, is much worse. 3) Never underestimate the power of unrequited love. It will break your heart, destroy your soul and will make you doubt the power of love. 4) Let go of love that is one-sided before it makes you let go of your self-respect. 5) Holding on to a toxic relationship doesn’t make you strong. It weakens you from the soul and strips you of your dignity. Let go, move on. 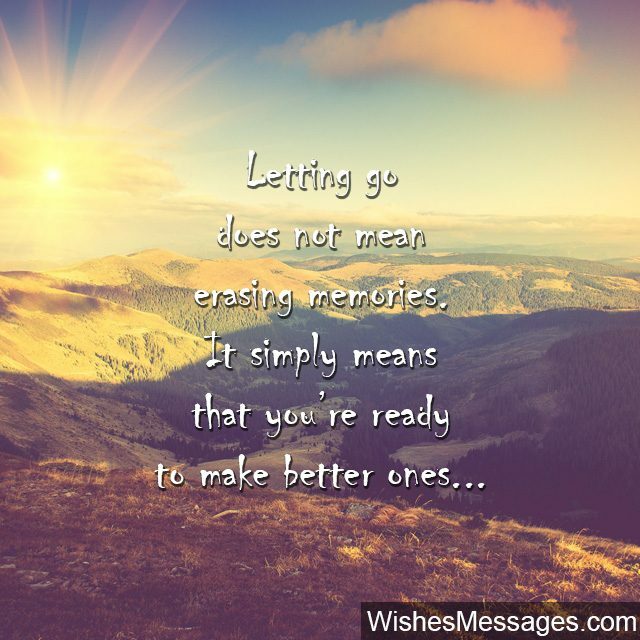 6) Letting go does not mean erasing memories. It simply means that you’re now ready to make better ones. 7) Beyond the suffering, lies redemption. Beyond the hurt, lies solace. Beyond the pain, lies happiness. Beyond the heartbreak, lies freedom. 8) It’s great to be committed to fixing a broken relationship. But’s it stupid to hold on to one, when the love is unrequited. 9) It’s tough to let go and move on from bad relationships, but so is every other good thing in life. 10) It’s never easy to let go of memories. But always remember that there are more beautiful ones yet to be made. 11) Break the memories before they break you. Breath it out and let it go. 12) Difficult journeys lead to beautiful destinations, and letting go is no different. 13) In relationships, give your heart but never your soul. You’ll be able to pick up the broken pieces of your heart when it’s time to move on but you’ll always leave behind a part of your soul. 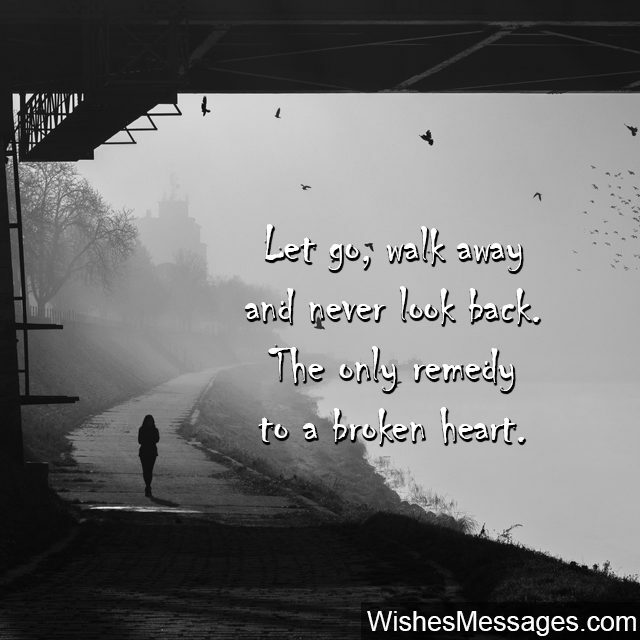 14) Walk away from a bad relationship before it makes you walk away from yourself. 15) Never breakup without a reason and once you do, never look back. 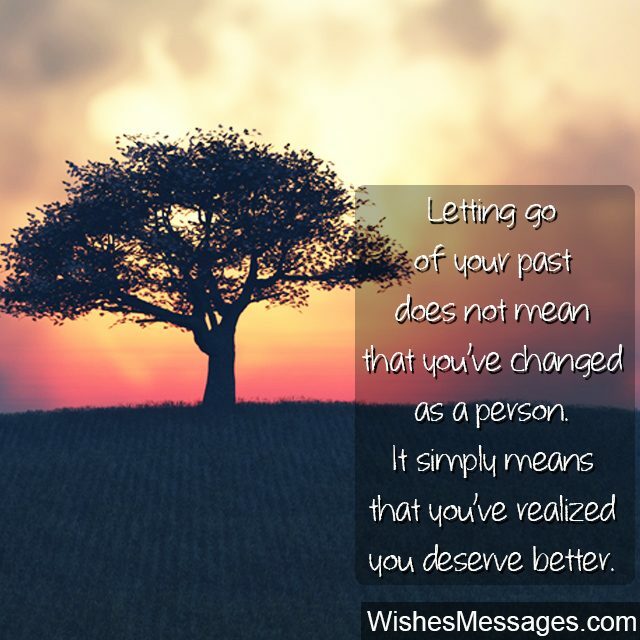 16) Letting go of your past does not mean you’ve changed as a person. It simply means that you’ve realized that you deserve better. 17) When you feel afraid to let go, just remind yourself that it is more painful to remain in the wrong relationship than to let go of it. 18) Never give up on a relationship. Give it all you’ve got. But draw the line when it comes to being loved for who you are, and not for who someone else wants you to be. 19) Nothing in the whole world is worth being lied to… especially relationships. 20) Letting go doesn’t mean that you’re forgiving someone else… it just means that you’re forgiving yourself. 21) It is time to move on when your love for someone has left you worse, than the person you were when you found them. 22) Relationships are all about compromises, but love isn’t. Love is as pure and as innocent as it gets and there is no space for malice. When there is no love, it’s time to walk out and move on. 23) The first step of moving forward in life is to realize that it’s over. 24) Letting go isn’t the same as giving up. Sometimes, it’s better to let go than to pin your hopes on something that just wasn’t meant to be. 26) Let go, move on, walk away and never look back. The only remedy to a broken heart. 27) Walking away from a toxic relationship is like walking on broken glass. Yes, your feet will bleed. Yes, you will be in pain. But take one step at a time, seeking solace in the fact that a few painful steps are better than a lifetime of pain and suffering. 28) Sometimes, hanging on does more damage than letting go. 29) Letting go, is the moment when you realize that your self-respect is more important than fake promises. 30) Respect is love’s unspoken prerequisite. If you’re not getting any, walk out. 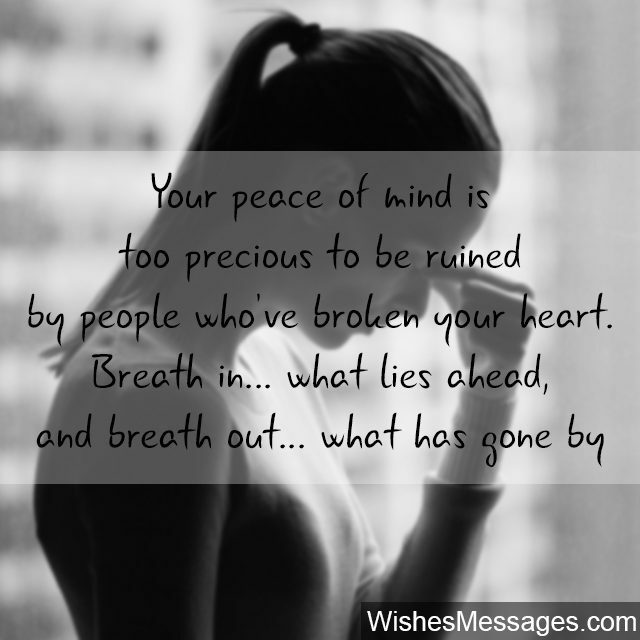 31) Your peace of mind is too precious to be ruined by people who’ve broken your heart. Breath in what lies ahead, and breath out what has gone by. 32) You will never realize it’s over until you let go and move on. 33) Letting go of bad memories of your ex is like having a hot coffee after a big night out. The quicker you do it, the lesser is the hangover. 34) Never give space in your memory bank to people who’ve broken your trust. Once they’re out, they’re out. 35) Don’t be ashamed or afraid of changing your relationship status on social media. Do it before it changes you as a person. 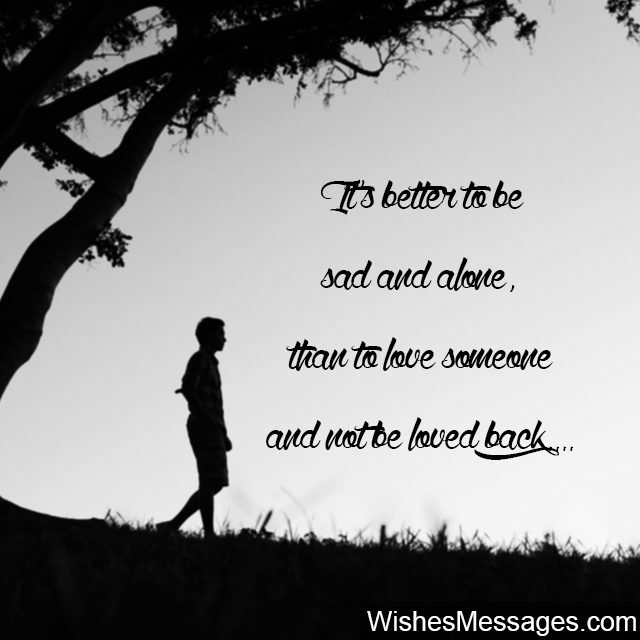 36) It’s better to be sad and alone, than to love someone and not be loved back. 37) Letting go is not a sign of weakness. It shows that you have the strength to stand up for what you deserve. 38) It takes more courage to let go of the wrong relationship than to be in it. 39) Love unconditionally, but never let your love be taken for granted. When your love is disrespected, humiliated and not reciprocated, it is time to let go and move on. 40) It takes courage to accept a relationship for what it is. Sometimes, it takes more strength to let go, than to stay on.